Phish is an American rock band most noted for its extended improvisations, elongated song compositions and the varied genres represented in their song repertoire. The band was formed in 1983 in Burlington, Vermont, United States where they all attended college. The band's lineup consists of Trey Anastasio (guitar, vocals), Page McConnell (keyboards, vocals), Mike Gordon (bass, vocals) and Jon Fishman (drums, vocals, vacuum cleaner). The band went on hiatus in 2000, but returned in 2002 only to split for what seemed for good in 2004. However, on September 30, 2008, the band announced, via their website, that they would reunite for three shows on March 6th, 7th and 8th, 2009 at the Hampton Colosseum. Later the band announced a summer tour for June of 2009 beginning with a night at Fenway Park and later added more dates in late July and August, featuring 4 nights at Red Rocks to begin the tour. The band has continued to be active since with continued touring and a new album. 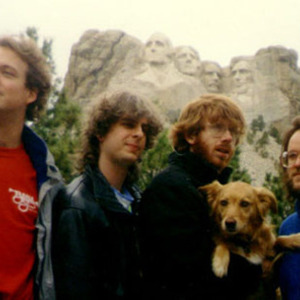 Although the group received little radio play or MTV exposure, Phish developed a large following by word of mouth. Phish's music has elements of many genres including jazz, bluegrass, country, heavy metal, reggae, folk, rock, ska, pop, blues, progressive rock, show tunes, classical, acoustic, barber shop quartet and calypso. While often compared to the Grateful Dead, Phish finds their roots in jazz and alternative rock as opposed to the Dead who were more influenced by folk, country and blues. Each Phish concert is different in terms of the songs included and the order in which they appeared, and (for many songs) in the way in which they were performed. Also unique to Phish are their large summer festivals which draw upwards of 70K people to remote areas in Maine and New York State as well as close to 100K for their epic Millennium Show in the Everglades of South Florida. Along with Bob Dylan and The Beatles, Phish were one of the first bands to have an Internet newsgroup - rec.music.phish - launched in 1991. In regards to Phish, Rolling Stone magazine proclaimed "Given their sense of community, their ambition and their challenging, generous performances, Phish have become the most important band of the Nineties."